Two CSS3 properties I’ve started using fairly regularly are generated gradients and border images. Unfortunately, IE9 doesn’t support either of those. Therefore, in order to produce the same effect, I still have to use a conditional stylesheet. However, since IE9 does support so many other elements I regularly use, I can’t really just carry over my IE7 or IE8 stylesheet(s). I need to create an entirely new stylesheet just for IE9. From a user-interface standpoint, I like the new look and functionality of IE9 much better than previous versions, and better than current versions of Firefox, Opera and Safari. However, I still don’t like it quite as much as Chrome’s interface. 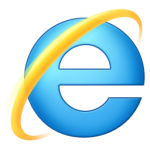 Have you tried IE9, yet? If so, what do you think of it? You can read a comprehensive list of Internet Explorer’s CSS compatibility on Microsoft’s website. Thanks for the information. I have not used ie9 yet as I find that it is better that you wait when it comes to microsoft. I did not know that it had started to support html5. The more microsoft is making the move toward web standards is a good thing.